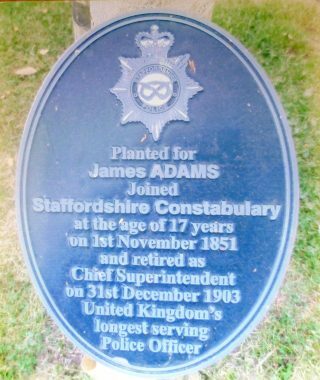 In the National Memorial Arboretum in Staffordshire there is a tree commemorating James Adams who is described as being the longest serving police officer in the country. 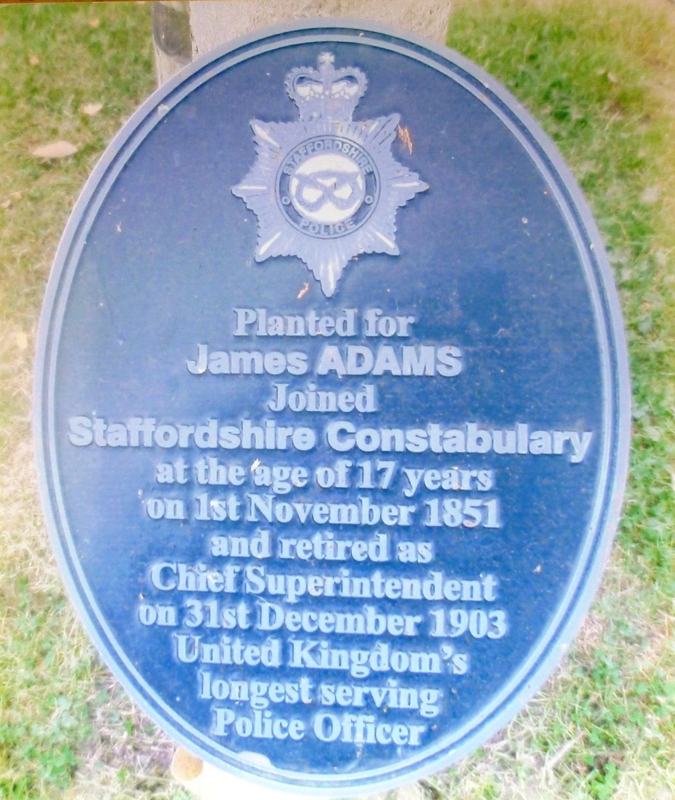 The plaque records that he joined the Staffordshire Constabulary at the beginning of November 1851 and retired at the end of December 1903 giving him a total of 52 years and 2 months (61 days) in service altogether. Although this is a wonderful achievement, we have found that he was not the longest serving officer in the country – two men from the Gloucestershire Police Force served a bit longer than he did! 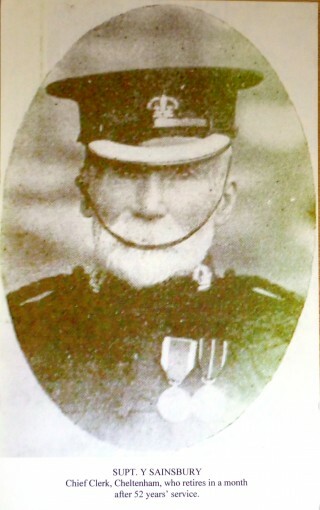 Young Sainsbury joined the police in February 1866 and retired with the rank of Superintendent in April 1919 when he was 73 years old. He served a total of 52 years and 273 days and was Superintendent in Cheltenham for over 34 years – his pension was £213 8s 8d per annum! Under normal circumstances he would have retired in 1914 or 1915 but loss of police officers to the services during the Great War meant that retirement was postponed. 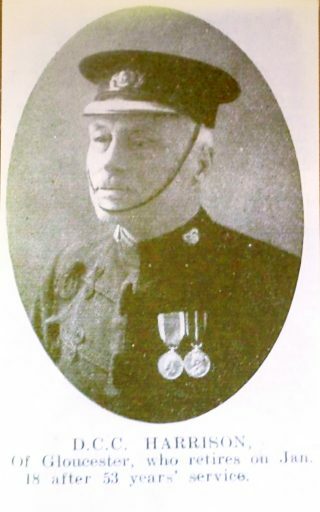 William Harrison joined the police in 1865 and he retired with the rank of Deputy Chief Constable in January 1919 when he was also 73 years old and had been DCC for nearly 17 years. He served an amazing total of 53 years and 108 days and his pension was £246 13s 4d per annum. The War had delayed his retirement as well! Both of these men served for a longer period than James Adams so perhaps they deserve the title of “United Kingdom’s longest serving Police Officer”. This page was added on 16/11/2015.